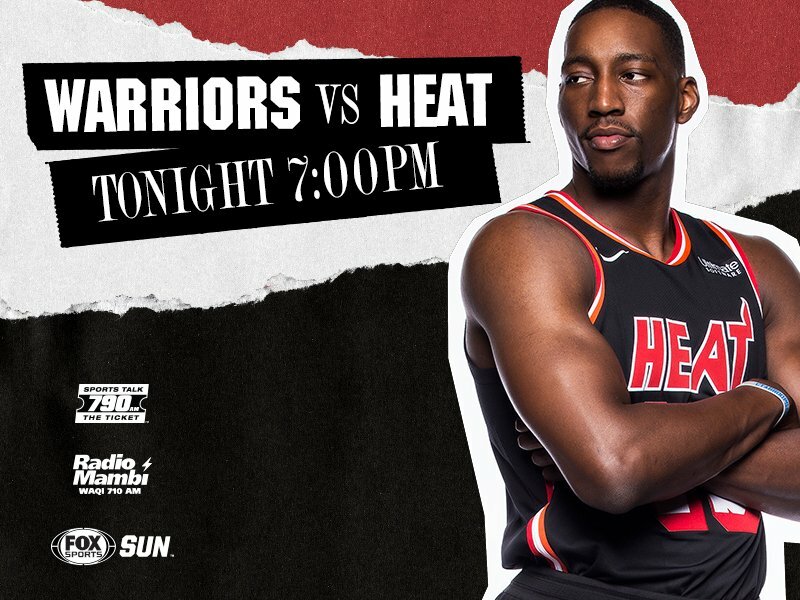 A fun Monday night ahead inside @AAarena! Here are tonight's starting 5 vs the Warriors! This just happened in MIAMI! @DwyaneWade hits an UNBELIEVABLE shot for the W!
. 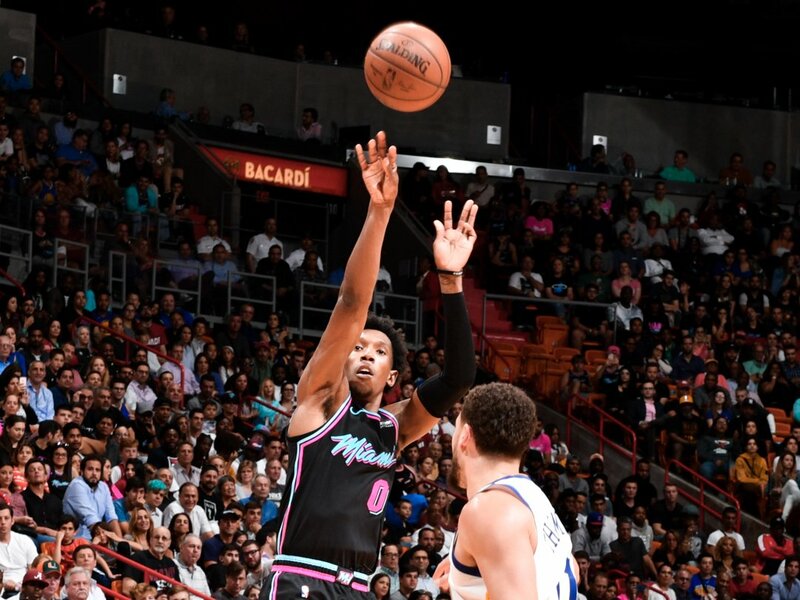 @Bam1of1 drains 2 free throws to make it a 2 point game with :55 on the clock! HEAT up 5, 4:03 on the clock. 2 point game with just under 5 min left to play. 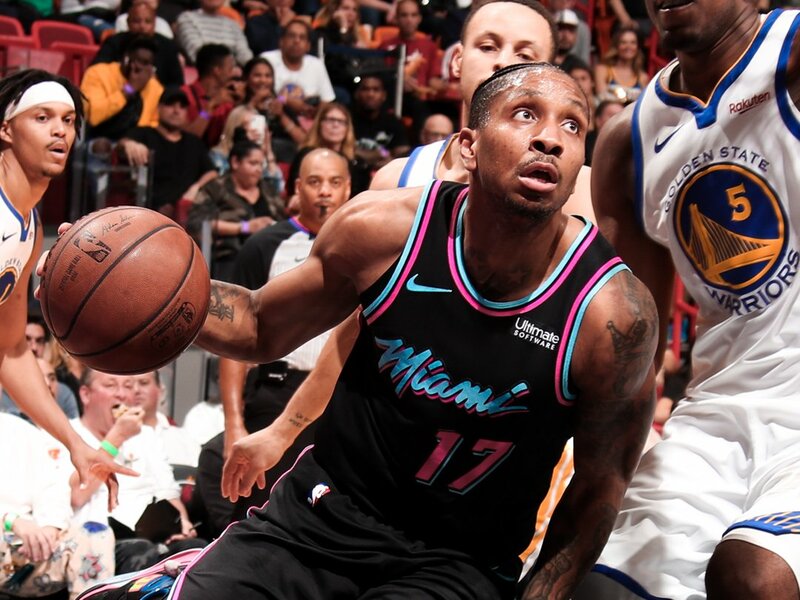 #GSWvsMIA Final: HEAT 105 - Warriors 102. Waiters 33pts 5rebs, Dragic 19pts 5asts, Babbitt 11pts 6rebs, Whiteside 10pts 15rebs.